Dead Cells mixes some brutal heart-thumping action together with gorgeous visuals to create an experience that completely sold me. Today, it has officially left early access. Even so, it's not the end for Dead Cells. The developer has said that they're planning a big free content update that will either be as a DLC or just a game update "whichever is technically feasible". I never quite get why free content would ever need to be a DLC, but whatever. I guess for those who want to disable it perhaps? Anyway, even after that if demand is strong enough they will continue updating it even after then. 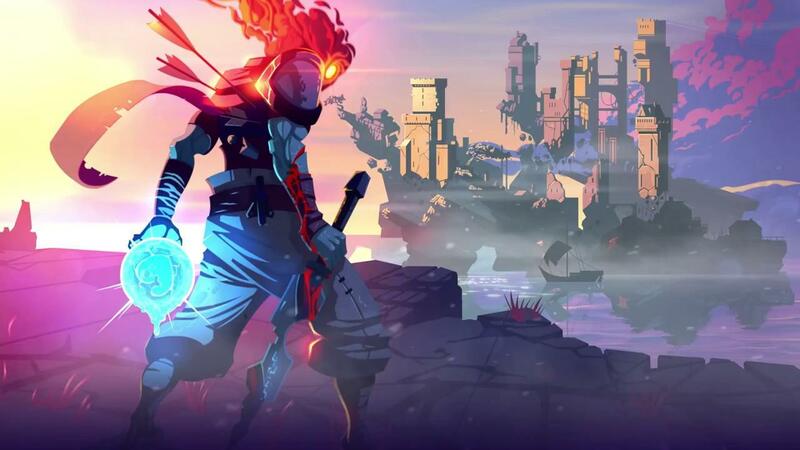 What's weird, is that these types of games aren't usually my cup, but something about Dead Cells completely sucked me in from the first time I tried it. Sure, I've rage quit a few times (okay plenty of times), but the fact that I actually want to go back to it rather quickly just shows how good it is. With all the different mechanics the enemies use, the combat can be a little overwhelming at times. Thankfully, you have quite a few tricks available. The mix of primary and secondary weapons, along with extra items like bombs, turrets and all sorts of special items really makes the combat interesting. Some of them can help you get out of some pretty tough situations too, like the freezing bomb which is awesome when you're up against a group or the enemies that can basically teleport right up close to you. It's a difficult game for sure, but the actual combat is so beautifully fluid and easy to learn it makes it such a great experience. The threat of constant permanent death will make you sweat and curse at your brightly lit screen, but the thought of pushing that little bit further than last time to unlock some sweet permanent upgrades for your next run or being able to grab some new blueprints for later can make it really worthwhile. Note: Currently, it doesn't work correctly with the Steam Controller through Steam directly, however, you can use SC Controller to get around this which is what I have been using. Outside of that issue though, it's probably one of the smoothest Linux launches in some time. It's currently 20% off, grab it from: Humble Store, GOG or Steam. If you were on the fence while it wasn't "finished", you would be a sucker not to grab it now, I can't sing its praises enough it's great. It's an amazing game but I'm a bit sad that the SC issue issue wasn't fixed for launch. It's a known issue for quite some time now. I've enjoyed playing the pre-release game. First time playing a game like it. However it was laggy on my Intel HD 3000 and seemed to progressively get worse as I got deeper into the game on each run through. I'm glad they feel good about releasing a 1.0 final version. As of last play (a few weeks ago), I get the message "we are still optimizing for intel graphics". Hopefully post-release that is something they'll address and it'll run smoother and I can play again . Bosses and complex enemies were just impossible with the lag. micha It's an amazing game but I'm a bit sad that the SC issue issue wasn't fixed for launch. It's a known issue for quite some time now. Cool, bought it. Seems to run perfectly. Bought it an hour ago, really enjoying it so far and it doesn't require a monster PC so I can play it on my laptop. This game has been my favourite for some weeks already. Definitely the game of the year for me. Very polished, very well designed, super addictive. It's basically Rogue Legacy x 10000. I just realised. I need more practice! Tomorrow I'll have to play this again. Guess I have to give Rogue games one more last try by getting this. Good game! I grabbed it a while back but didn't play a ton. I'm currently hooked by Chasm, but I'll jump back into Dead Cells when I'm done. Unless, of course, Ghost Song or Eitr release before then (not likely! ).